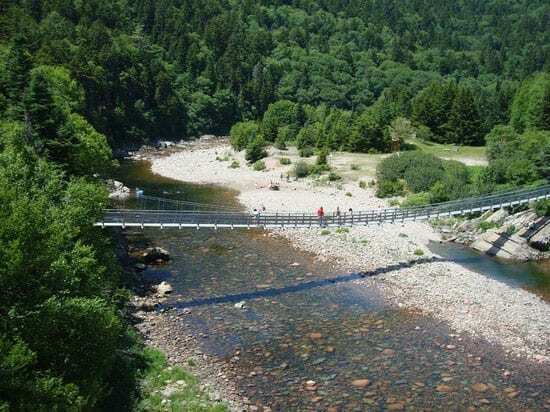 Enjoy a scenic ride along the Bay of Fundy Trail Parkway and learn about the area’s rich history at the Big Salmon River Interpretive Centre. Your expedition begins from Saint John with a pictorial drive along the paved coastal parkway. Take advantage of the multiple scenic lookouts for spectacular views out over the Bay of Fundy, a body of water with the highest tidal range in the world. Explore connecting paths and descend stairways to walk along the pristine beaches and gaze up at the coastal cliffs. Be on the lookout for gorgeous waterfalls as well as a suspension footbridge. You will discover what life was like for the area’s early settlers through several historic artifacts and displays at the Big Salmon River Interpretive Centre. Learn about the pioneers and their flourishing logging, fishing and shipbuilding past. No trip to the Bay of Fundy would be complete without a stop in St. Martin’s for a delicious bowl of the area’s famous Seafood Chowder. Sign up now for this family-friendly tour of the incomparable, unforgettable Bay of Fundy. Please Note: Guests must be at least 5 years of age or older and be able to descend and ascend stairs. Food and beverages will be available for purchase. No wheelchair access.